What Does Full Custody Mean? The definition of full custody depends to some extent on where you live and your state's legal jargon. It may mean that you'll have both legal and physical custody. But in some states, it means that you have either sole legal or sole physical custody. If you're not sure what you want to ask the court for as part of your divorce, consult with a local lawyer to make sure you get the terms right for your jurisdiction. If you're granted full legal custody, this means you'll have an absolute right to make all important decisions for your children without any input from your spouse. Major decisions relate to things like education, religion or medical care. They don't include day-to-day issues, such as whether your dieting teenager can skip dinner – that falls to the parent she's residing with on that particular day. In some states, the term "full custody" refers only to legal custody. It does not take into consideration which parent your children live with most of the time. Physical custody refers to which parent has the children staying at her home most nights of the year. If you receive full physical custody, your spouse may have visitation, or in extreme circumstances – such as if he is incarcerated or his whereabouts are unknown – he may have no contact with your children at all. In some states, such as Missouri, if your spouse has any visitation or parenting time, you have joint physical custody. In other states, having joint physical custody usually means that your children spend roughly an equal number of overnights with each of you. Missouri Divorce and Family Law Blog: Full Custody, Joint Custody, Joint or Split? Curry, Pearson & Wooten: What Is the Difference Between Joint Custody and Sole Custody in Glendale? At first glance, joint custody and shared custody might seem to be the same thing – and they often are. The custody issue can become confusing, however, because states often use different terms for the same type of custody arrangement. Depending on where you're divorcing, joint custody and shared custody might mean that you and your spouse will cooperate in just one area of parenting responsibility, or both. The best interests of the child is always the paramount factor used in determining custody issues; having both parents involved in a child's life is greatly encouraged by family courts in Virginia. There are two types of custody in the state: legal custody and physical custody. Obtaining sole custody of your child requires the court to give you both legal and physical custody. Even so, the child's other parent is often granted visitation rights. It’s usually not easy to obtain full custody in any state, but Colorado makes it particularly difficult. Section 14-10-124 of the state’s legislative code specifically states that children should have “frequent and meaningful” contact with both parents post-divorce. Your best chance to achieve full custody depends on proving that your child’s other parent is unfit, but his bad behavior must have a direct effect on your child. What Is the Meaning of Primary Custodian? 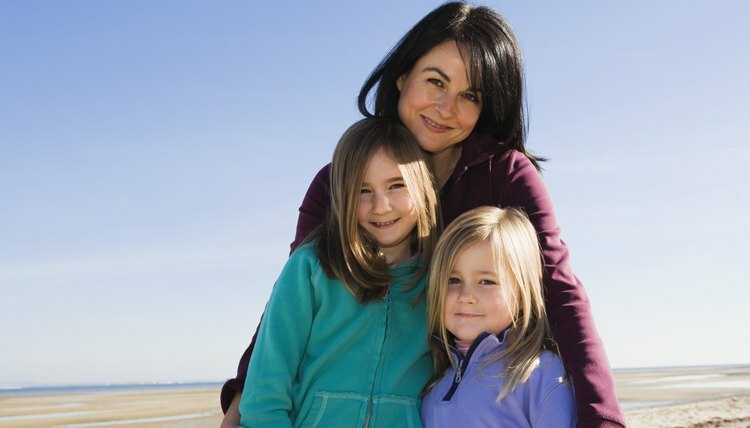 What Does Sole Custody Mean for the Other Parent?